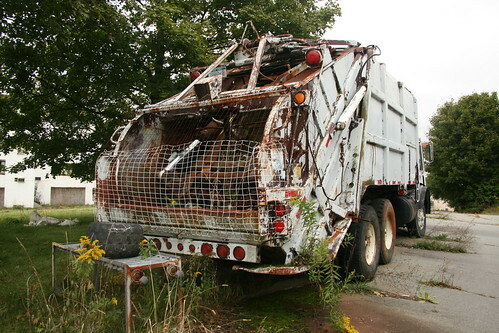 Why own a Catskills hotel if you're not going to own a broken down garbage truck? Ironically as you saw elsewhere the owners of this hotel clearly had no intention of throwing anything out. Why own a garbage truck if you're not going to throw away trash? One other thing kind of interesting about this truck was that its registration was expired, but it still had plates - a violation of state law - the plates should have been surrendered years ago.